The perfect finish for your Smilodox-Look. The stylish bracelet in one size consists of a robust rubber coating and is indispensable as a sporty accessory this summer. Give your outfit a colorful touch Highlight or accentuate your outfit Style with these stylish statement bracelets from Smilodox. 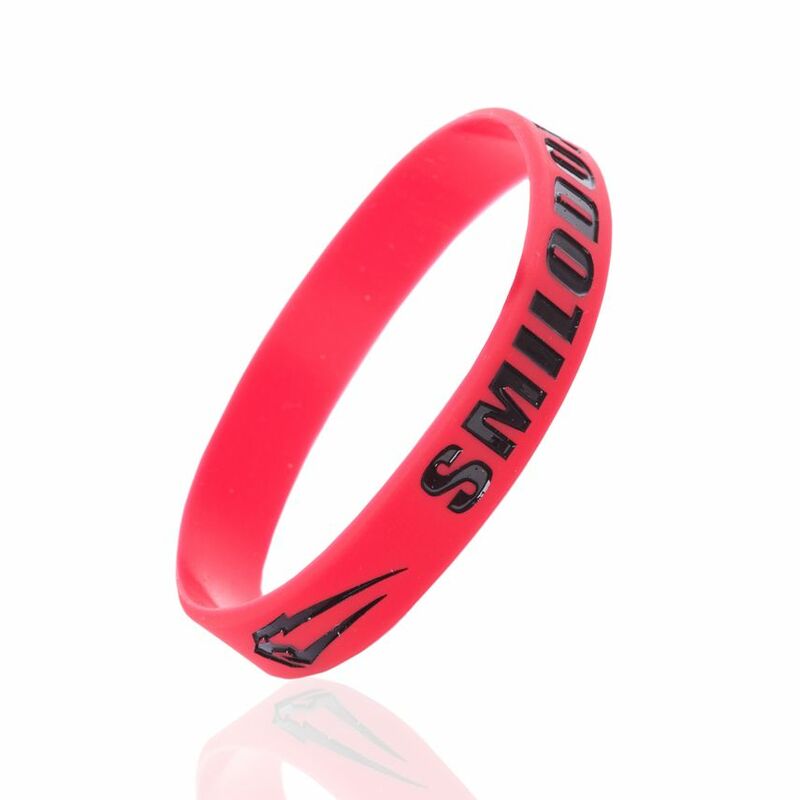 The Smilodox Bracelet is comfortable to wear and feels comfortable and light on the wrist. It is suitable for rounding off your sporty outfit, whether for men or women. The sturdy bracelet was made to withstand any wear and tear, the embossed writing cannot fade and stands with this durability for your stamina in training. INDESPENSABLE - An absolute must for every SMILODOX fan, just order it. STYLISH - The bracelet rounds off every sporty outfit and can be combined perfectly. UNISEX - Elastic Bracelet for women and men, fits perfectly to every outfit. ROBUST - The bracelet is made of high-quality silicone, it is waterproof, odourless and sweat resistant. MOTIVATION - The embossed step resists all wear and tear and, with these characteristics, stands for the stamina needed in training. COMFORTABLE - This accessory is comfortable to wear and feels comfortable and light on the wrist.